Australia, Southeast Asia and the Southwest Pacific region, Asia-Pacific security. Dr Mishra earned his doctorate from Jawaharlal Nehru University. His doctoral thesis was focused on role of China in India’s Look East Policy. Most recently, Dr Mishra was a Visiting Fellow at S. Rajaratnam School of International Studies, Nanyang Technological University (Singapore), where he worked on ‘India-Southeast Asia Defence Relations’. In 2011, Dr Mishra was affiliated with National University of Singapore (Singapore) as a Visiting Fellow and worked on India and China’s engagement with ASEAN. He was awarded the Junior Research Fellowship (2005-09) of the University Grants Commission to pursue research in international relations. Dr Mishra was a Visiting Fellow, Australian National University (Canberra), Curtin University of Technology (Perth), Monash University (Melbourne) and University of New South Wales (Sydney) in 2007- 2008. During his fellowship at Australian universities, he worked on politics over nuclear issues in Australia. He has been a Research Associate at Centre for Air Power Studies on a Department of Atomic Energy, Government of India Project. At IDSA, Dr Mishra is associated with Southeast Asia & Oceania Centre. He analyses the Southeast Asia section of IDSA’s weekly newsletter The Week in Review. 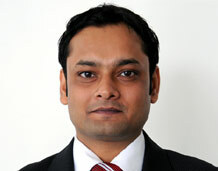 Dr Mishra is the editorial board member of Insight Southeast Asia also. “RCEP: Challenges, Opportunities for India”, The Jakarta Post, 2 August, 2013.